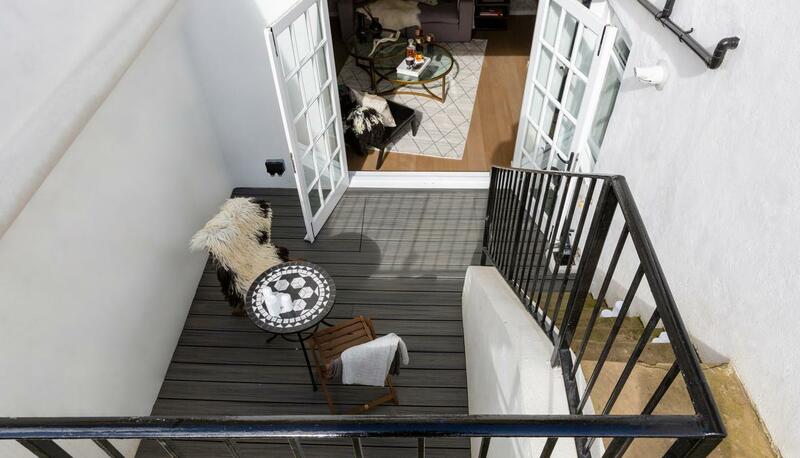 Leading London-based interior designer, Maurizio Pellizzoni, has refurbished a one-bedroom investment apartment in partnership with Andrew Martin, to be sold with all its contents. 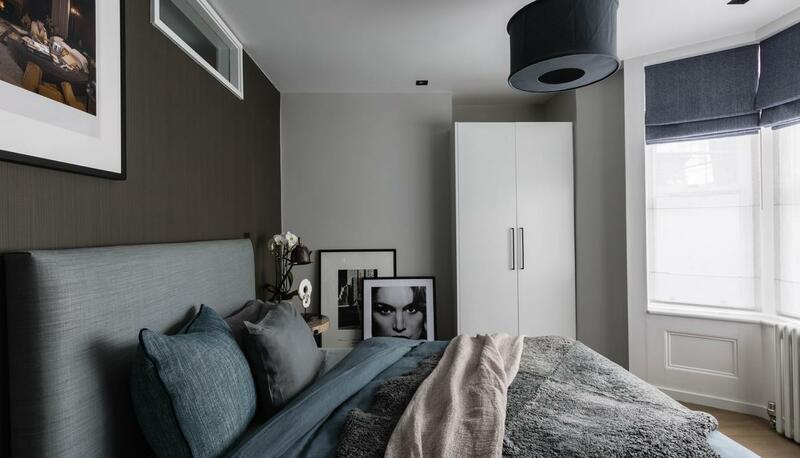 Based in upcoming Lewisham, the property is being marketed with Peter James Estates as an apartment that's ready to move into, designed to interiors perfection with our top end fabrics, wallpaper, furniture and accessories. Maurizio Pellizzoni says: "Andrew Martin was a natural choice for the collaboration as their furniture and accessories perfectly combine luxury with timeless design. I immediately saw the potential with this apartment and Andrew Martin's designs complement the architecture of the building. The area is also developing well and it's becoming much more in demand as a place to live." For London professionals with little time but the taste and aspiration for a professionally designed look, this property ticks all the boxes. 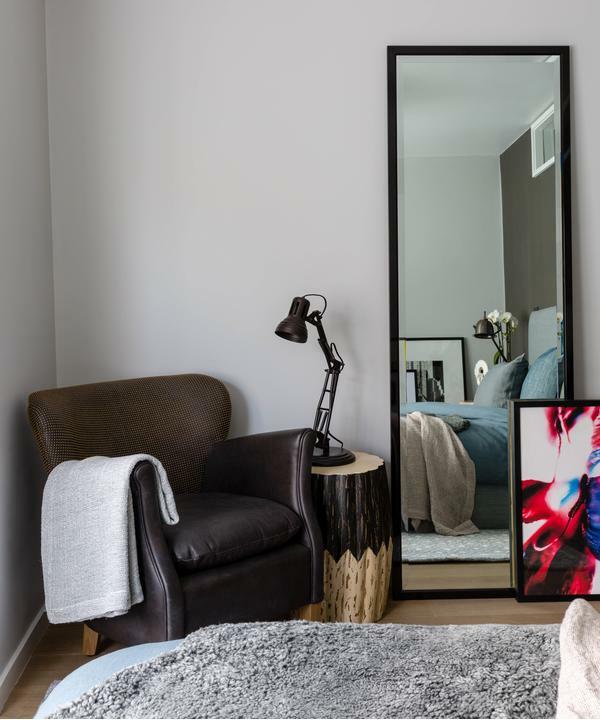 Including everything from fittings to bedding, it would appeal to first time buyers who perhaps don't pre-own furniture, as well as buy-to-let investors. Maurizio oversaw the full refurbishment of this basement flat, with extensive works including the removal of internal walls and a complete reorganisation of the room layout. He has created a modern open plan living space that feels bright and airy. The patio and garden are south facing so you can spend long summer evenings with the French doors open, bringing the outdoors in. He handpicked some of our best-selling products, including the Truman Sofa, Sundance Coffee Table, Harrow Chair, Beetham Stools and Petrified Logs as well as an array of cushions and rugs to create a clean-cut yet liveable look with touches of playful character, signature to Andrew Martin. 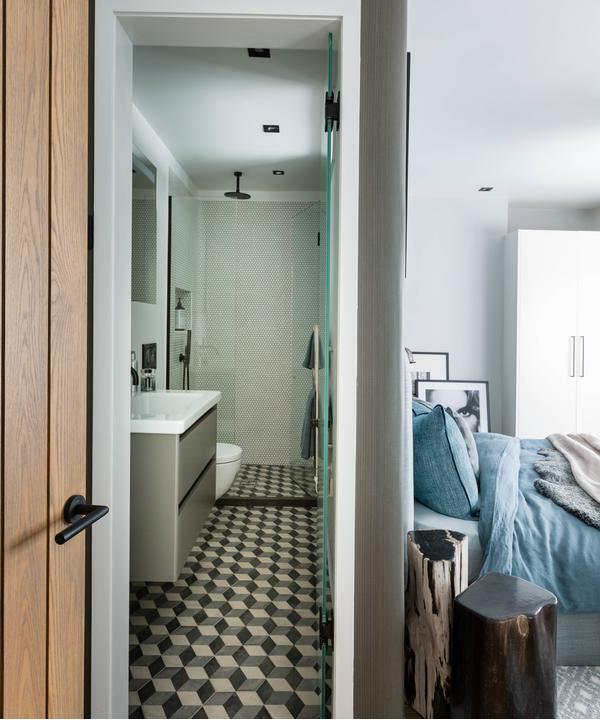 "I took a highly detailed approach to the space planning to maximise the best use of space and create as much storage as possible. 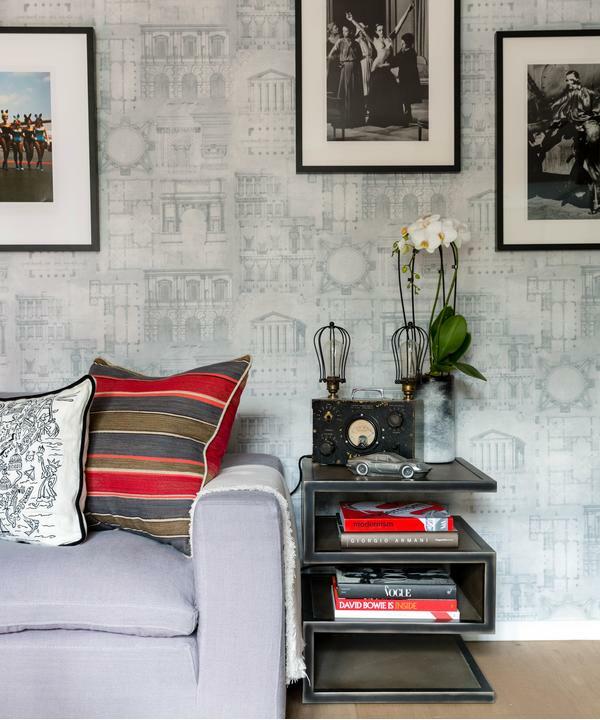 The architectural print design of the Andrew Martin Augustus Wallpaper was the perfect choice to connect the flow of the apartment. 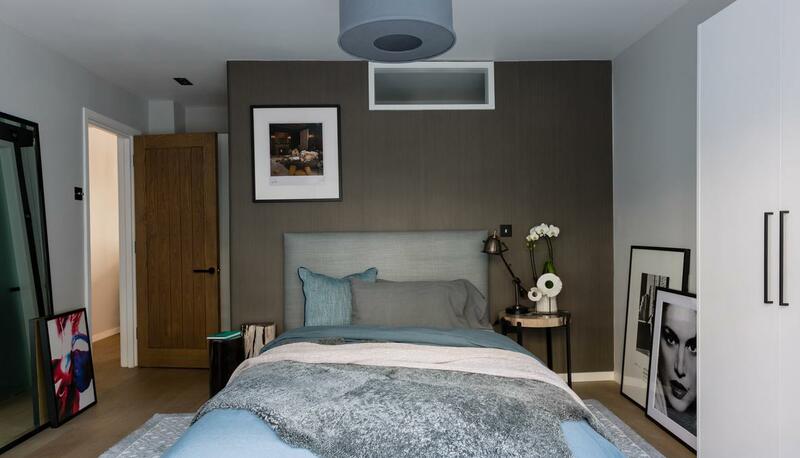 I selected a light grey colour scheme with a dark blue and black accent to create a modern interior. 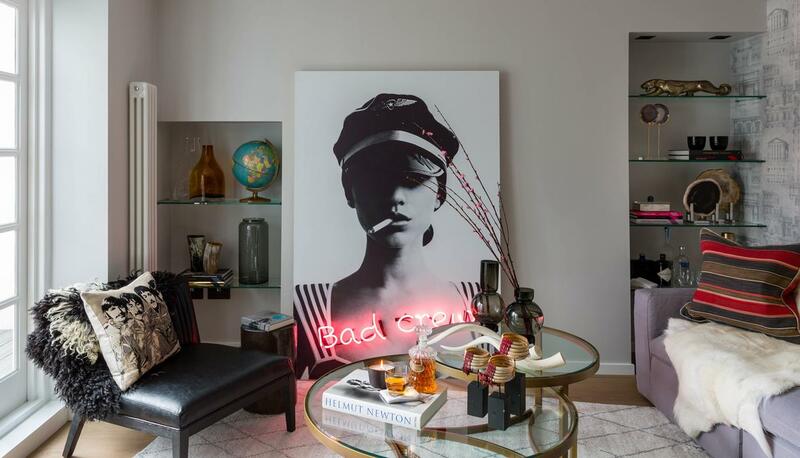 Art is an important element in all of my projects, so I used a selection from Andrew Martin, including the light-up neon posterboard, and complemented these with framed photography by OnGallery to keep it slick, modern and full of character." Lewisham has become an upcoming, affordable hotspot in South East London and has undergone considerable redevelopment in the last 12 months. 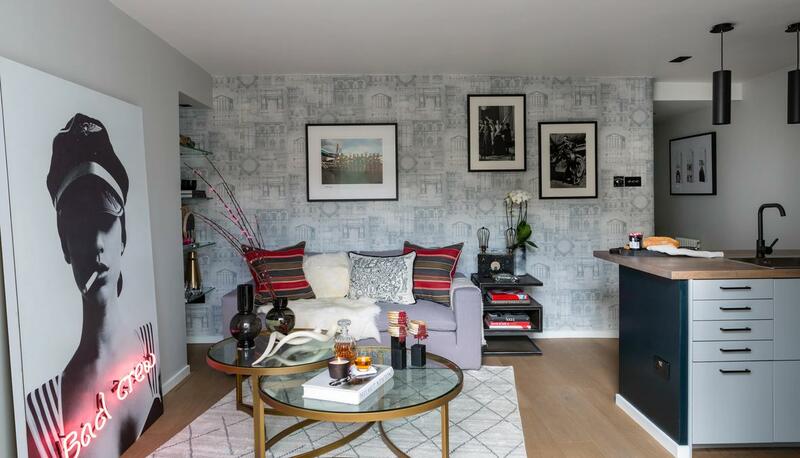 As well as being an enviable space furnished with high end design, this apartment would also be a cost-effective investment, as fittings alone in show house developments can climb to more than £10k with furniture on top. A survey last year showed an increase in searches for fully furnished properties which aligns with the heightened trend of instant demand for products and services in today's consumer market. 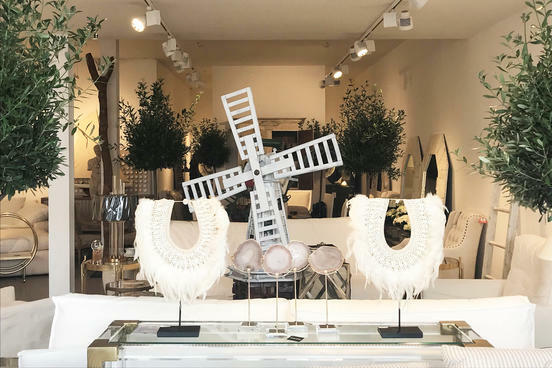 Discover the look and inspiration behind our newly launched pop up store 'White', next to our flagship showroom on Walton Street.